Check out the day-to-day spoilers and a sneak peek below to find out what's happening on NBC soap opera Days of our Lives during the week of April 18-22, 2016. 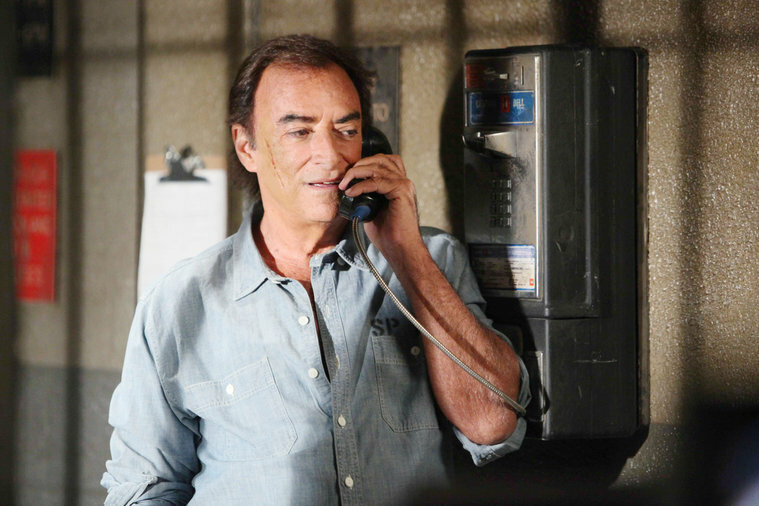 Andre (Thaao Penghlis) calls Hope (Kristian Alfonso) from jail and warns her he'll go after her and Rafe (Galen Gering) once he's freed; Belle (Martha Madison) gives Shawn (Brandon Beemer) the signed divorce papers - it's over; Shawn is uncomfortable with Lani's ((Sal Stowers) possessive behavior; Ciara (Vivian Jovanni) decides she's not going to the prom, but Claire (Olivia Rose Keegan) insists. Abigail (Kate Mansi) comes clean to Marlena (Deidre Hall) about what she did to Ben (Robert Scott Wilson); Deimos (Vincent Irizarry) makes Kate (Lauren Koslow) an offer she can't refuse; Theresa (Jen Lilley) has a surprising suggestion for Victor (John Aniston) and Maggie (Suzanne Rogers); JJ (Casey Moss) tells Chad (Billy Flynn) that Ben has been locked up. Steve (Stephen Nichols) packs up and moves out of the house; Summer (Marie Wilson) connects with Brady (Eric Martsolf); Victor, knowing Deimos has a potential weak spot for Nicole (Arianne Zucker), makes her an offer; Jade (Paige Searcy) and Joey (James Lastovic) vent to each other about their frustrations with their families. Abigail commits to doing whatever it takes to get well; JJ is concerned about Jennifer's (Melissa Reeves) addiction; the mystery caller tells Hope to confront Deimos; Nicole shows up at Deimos' doorstep. Fynn (Alexander Bruszt) treats Kayla (Mary Beth Evans) after she passes out; Theo's (Kyler Pettis) protective nature over Ciara gets him in trouble; Nicole questions Deimos about Helena; Joey and Jade firm up their plans to run away together to Los Angeles; Edge of the Square gets decorated for the prom.